A week after an impromptu CUNY protest at Baruch College in which students were clashing with police, this Chronicle of Higher Education article covers a second protest at Baruch College. 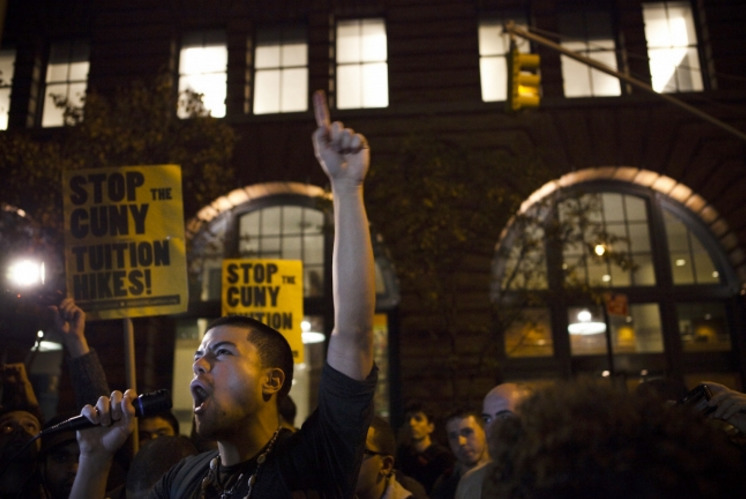 The article reports that a thousand students, faculty members, and supporters gathered in a peaceful show of opposition against a tuition increase that CUNY's Board of Trustees, meeting at Baruch, had approved that afternoon. Cite This document | Blumenstyk, Goldie , “Protest Again Centers on Baruch College as CUNY Trustees Approve Tuition Increase,” CUNY Digital History Archive, accessed April 24, 2019, http://cdha.cuny.edu/items/show/6712.